Throughout the month of June we are looking for NEW CREW MEMBERS to join the CASEing the Catty Design Team from July onward. If you're interested, make sure you check out the details at the end of this post. 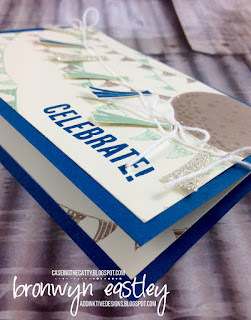 Welcome to the Birthday Blog Hop for CASEing the Catty. 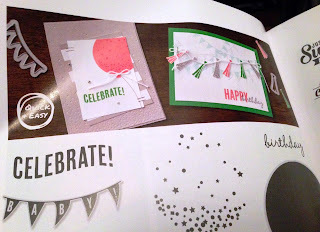 The Crew are sharing projects from the Birthday Section of the brand new, annual, Stampin' Up! Catalogue (pages 10-25). 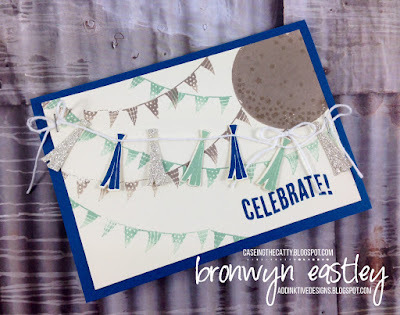 I've combined the layouts from the two cards featured on page 18 using the Celebrate Today Stamp Set and a new colour combination. Thanks for hopping by. You can link back to Liz or onto Julia's blog and follow the hop to check out the birthday projects that the crew have CASED (copy and selectively edited). Want to try out for the CTC Crew? Play along with at least one of our June challenges (CTC #81 through to #84) and link your project on the CTC 81 Blog Post. We are looking for Australian or New Zealand Stampin' Up! Demonstrators who regularly update their blog. The DT join in a hop when we can and exclusively use SU products for our CTC projects. 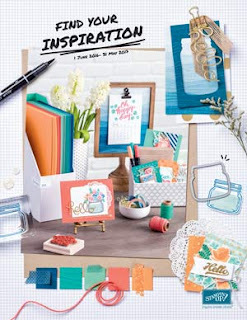 We CASE (copy and share everything) or use a sketch/layout, colour combo, embellishment, to name a few examples, as a springboard for our own creations. Interested? Hope to see you in the link up. Beautiful birthday banners, Bron. I do love your CASE, it is so exuberant! Oh this is a fun card! Love the colour combo and glitter paper. Thanks for sharing. I love your version of this card. I love the pop of bling as well. 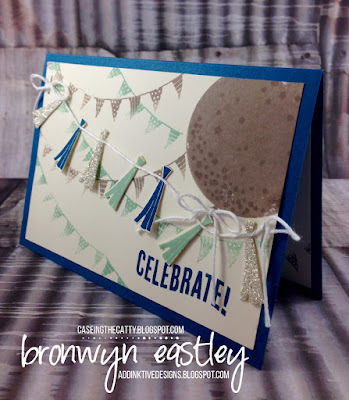 Great CASE Bronwyn, love the colour scheme and the bright fun feel of your card. That's a lovely touch tying all those tassels together! 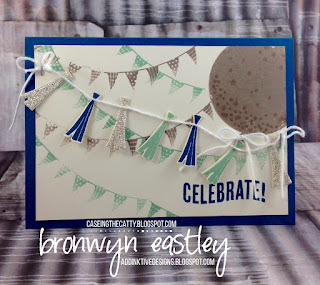 Cool colour combo and so perfect for your card!! I love all the little details and the flags. I was immediately drawn to this card in the catalogue & your card is even more fun! 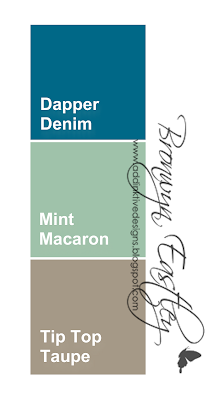 This colour combo is just divine, I can't wait to try it out. Such a great CASE Bronwyn, thanks for sharing it! A great CASE, Bronwyn and super colour combo. 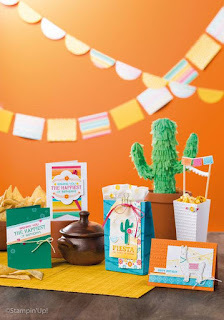 It is a fun card with all the texture and details. 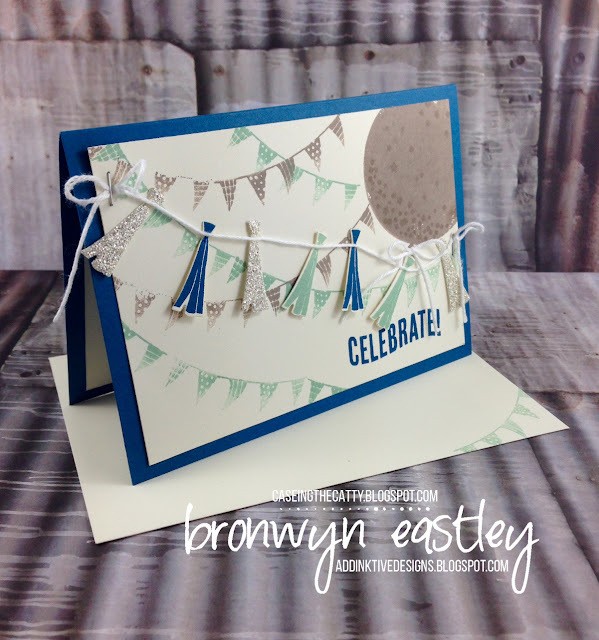 Bronwyn, what a lovely colour combination you have used on this cards, someone is going to be so lucky to receive this card. What a great CASE Bronwyn. Love the colour combo!